Is it possible for high-poverty schools to be high achieving? Of course it is! Real schools with students living in poverty do post high levels of student achievement. Learn what these schools do to help students succeed—and how you and your school can adopt the same practices—no matter what socio-economic climate students live in. 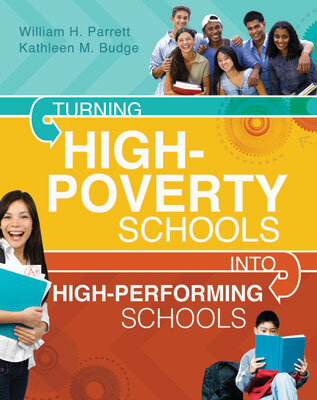 Lessons learned and practical advice from seven of these high-performing, high-poverty (HP/HP) schools, along with hundreds of others that have been the subject of intensive research, are the focus of this book. Authors William Parrett and Kathleen Budge have synthesized the research, studied the schools in depth, and show you critical components that set these institutions apart from their struggling peers. Focusing on student, professional, and system learning. Principals, teacher-leaders, and district leaders can benefit from the real-world examples and practical guidelines, all based on research and experience. Rather than suggesting a one-size-fits-all approach, the authors acknowledge the unique context of individual schools and urge readers to engage in self-assessment, reflection, and coordinated action to learn together and lead together, with rubrics and planning templates provided to guide the process. The reality is that any school willing to refocus its efforts can become a high-performing school. The Disrupting Poverty Video Series authors William H. Parrett and Kathleen Budge provide solutions for helping children from impoverished backgrounds, in elementary and secondary schools, preform well in and outside of the classroom. "Throughout the book, the authors offer inspiration and concrete actions that a school could use as a part of its turnaround plan. In short, I found this book very useful. I believe the highest recommendation I can give it is this: I am buying five more copies to give to five of my teacher friends so that we can read together, learn together, and use what we learn to transform our high-poverty school into a high-achieving school." —Dave Orphal, Teacher, Oakland, Calif.
"Their framework is not a one-size fits all approach, but rather a foundation for building capacity and reflective practice in order to carefully meet the needs of students living in poverty....While reading, I made frequent notes of ideas that I want to continue to consider and reflect on as my colleagues and I continue to collaborate and think outside of the box for the benefit of the students in our school." —Amanda Villagomez, MTE, Ontario, Ore.